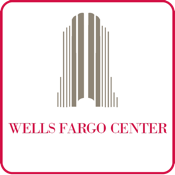 Wells Fargo Center, situated at 400 Capitol Mall in the heart of the Central Business District, is considered by many to be the most prestigious office building in the Sacramento region. This 30-story, Class A tower offers approximately 504,000 square feet and houses the market’s premier legal, financial, accounting, and other professional service firms. Within walking distance are the Capitol Building, historic Old Sacramento and Westfield’s Downtown Plaza. These exceptional amenities, coupled with the building’s stature, make Wells Fargo Center an unparalleled business address.